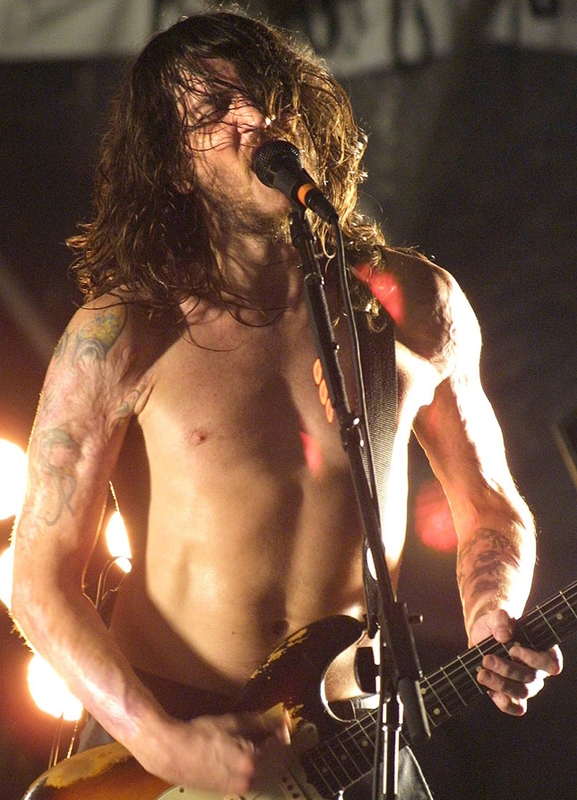 Frusciante who had a long battle with drugs after leaving the Red Hot Chili Peppers in 1992, wore long sleeves for a long time to cover up the scars but eventually went back to wearing T-shirts or no shirt at all on stage. His addiction also caused serious gum and jaw infections which led to him having all of his teeth removed and replaced with dental implants, along with reconstructive surgery to his jawline. looks like his nose got broken once or twice too. 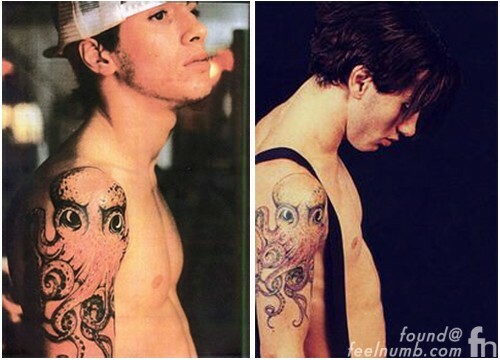 Check out the difference between the younger photos and the more recent ones. Hard to believe he clawed his way back after being so close to death. What a talented cat. I saw RHCP on New Year's Eve 1990 in San Franciso; what a great show. 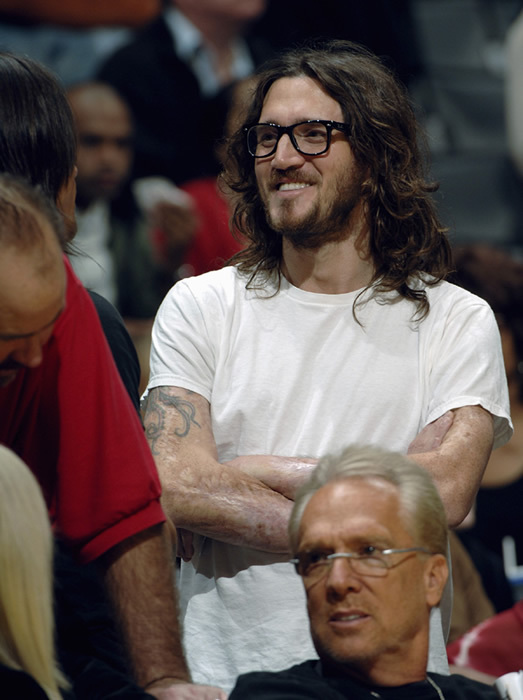 Frusciante brought the house down. Great, great guitar player. 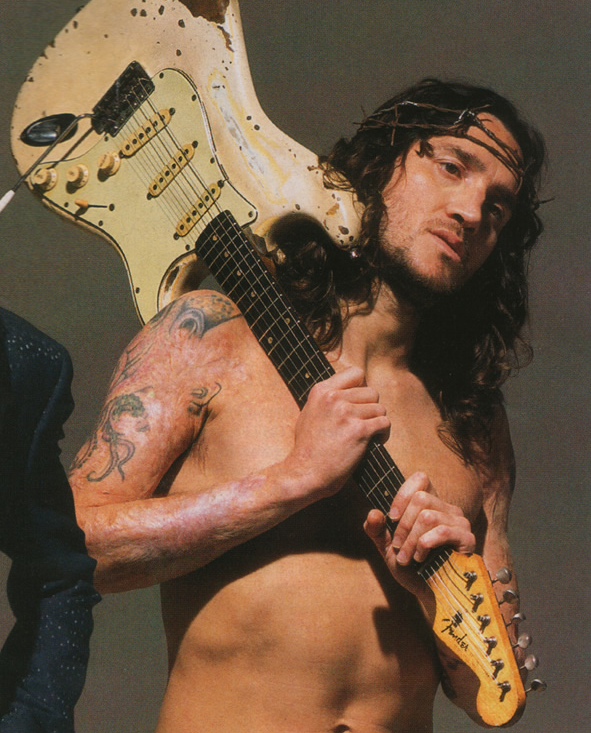 How do we know that the chili peppers didn't just switch out a guitarist? 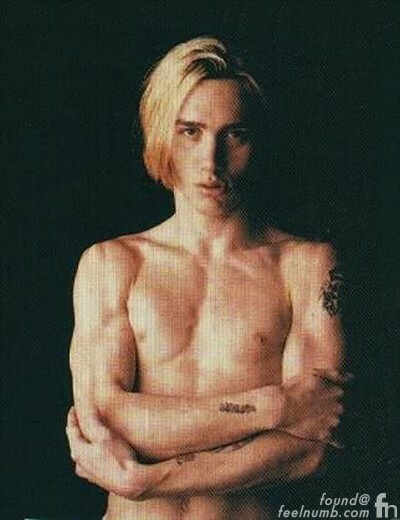 Cuando vi los videos de sus inicios con los RHCP les juro que no lo reconoci crei que era otra persona, era un joven muy guapo – rayos que le paso? dije- malditas drogas. Sin duda su rostro es otro tiene la boca algo hundida ahora, y su menton es diferente, no me explico que le sucedio a su nariz luce desviada y algo ancha, tenia una nariz perfecta.